2016: A tipping point for Churchill's polar bears? In mid-November, I spent a week in Churchill on Canada’s Hudson Bay Coast. 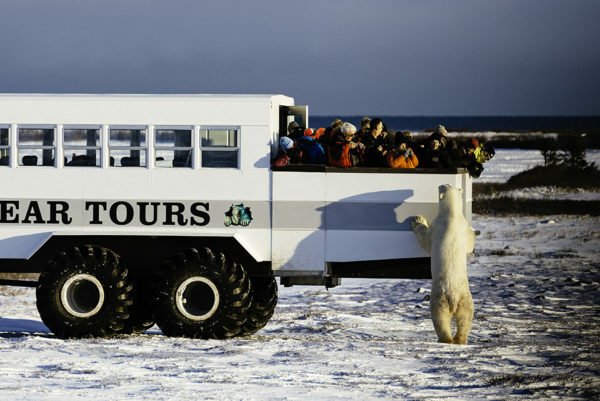 It’s one of the most popular places for viewing polar bears, as they gather on the shore waiting for the sea ice to form, so they can end their long summer fast. This was my fifth time in Churchill, and I was shocked at the difference from the last four. The temperature was 35 degrees Fahrenheit (20 C) warmer than any of the times before. A friend asked if it was just ‘weather’, but it was that much warmer for over 4 weeks and not just a couple days. I got by the whole week without an Arctic coat, most of the time in just a long-sleeved t-shirt and a vest. There was no ice to be seen on the bay and the ice charts showed no ice anywhere in the whole of Hudson Bay. 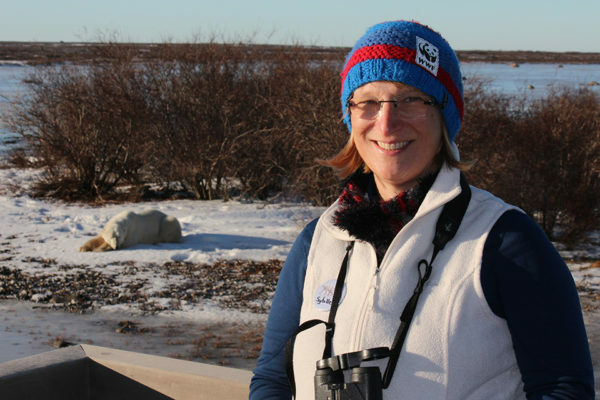 WWF biologist Sybille Klenzendorf in Churchill, Manitoba, Canada in November 2016. The whole week there I felt excited to have amazing bear photography in sunny, warm days but was feeling panicked that Nov. 2016 might be the tipping point for a fast decline of the Western Hudson Bay polar bear population. Many of the travelers that were in my group said “we came now because we wanted to see them before they are gone”. I had always thought that might be 10-20 years off for Churchill but now I am not so sure it will be that long. Polar bears wait for the ice to form on Hudson Bay, Canada. 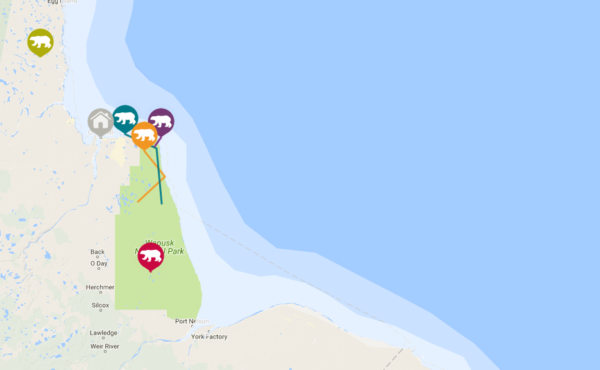 See where the bears are now. I can confirm that. In the week I was there, I saw one particularly skinny female and cub, and many other bears looked very thin. This was 3 weeks ago and the ice has still not come. The time for action is now! The climate change talks in Morocco were a good start to get serious to save our climate and the remaining polar bears. Though some issues can feel like they are too big to solve, there are ways to help. Here’s a short list of initiatives you can be a part of as a consumer which can minimize our impact on climate change. FSC stands for Forest Stewardship Council and products bearing the label mean that its materials were sourced from a responsibly-managed forest. Though you may not associate polar bears with forests however the world is dependent on the air we breathe and the carbon dioxide that those trees capture. Deforestation is no friend to climate change, estimates say the forests are being cut down at a rate equivalent to 48 football fields per minute. To help minimize the effects of climate change, healthy forests are vital. Shop smart. 2. Shop for sustainable food. The world’s ecosystems are highly interconnected and healthy fish levels in our oceans means that other marine life, such as seals, have the nutrition they need. Quite important for polar bears who rely on seals as their main food source (though they also need sea ice to be able to hunt for them). The power of WWF’s members cannot be overstated. Signing petitions asking government to act on issues makes a big difference. Any amount helps. The largest portion of WWF’s funding comes from individuals like you. Check out these other ideas and facts to inspire action at home and work to make the earth a better place for polar bears (and humans too).